Nothing But Smiles Modeling! Happy Father's Day! Happy Father's Day from nbsm! We want to wish all of our father's a very happy father's day! 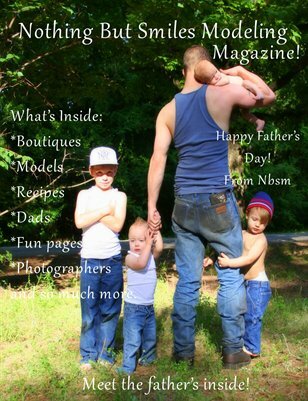 Inside this issue you will find recipes, dads, polls, and so much more! Nothing But Smiles Modeling Magazine! Merry Christmas! !